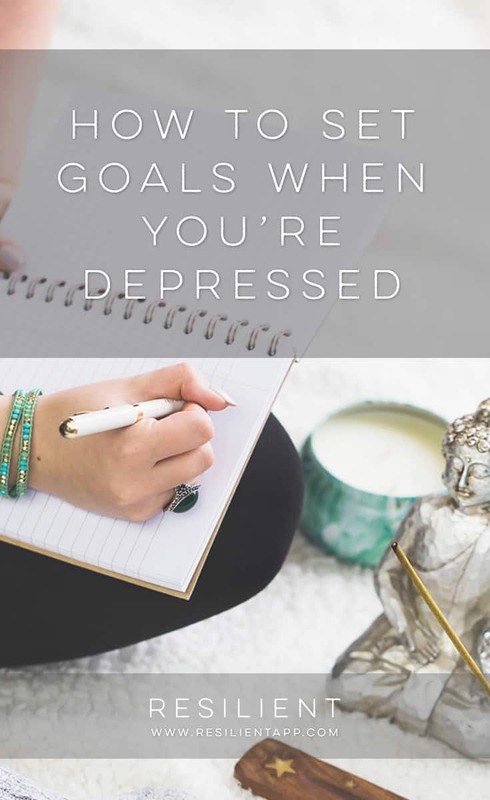 Setting goals when you’re depressed can sometimes feel overwhelming and discouraging. 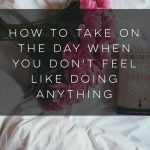 Instead, here are my tips for a better way to set goals when you’re depressed. 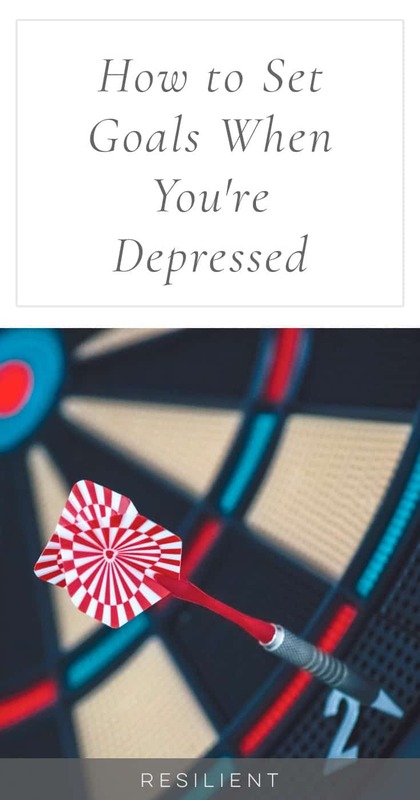 Here’s how to set goals when you’re depressed. Side note about motivation: Is there anything you could use as a small reward that might encourage you to start taking action toward a goal? Maybe there’s a new book you want to buy or a tv show you want to watch on Netflix. Try setting a small reward for each goal you set. 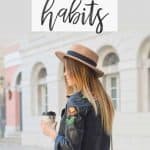 Also try your best to add healthy foods to your diet and move a little every day because these things can dramatically raise your energy levels. Ok, back to the article: Once you find a little motivation, it’s time to set some goals. Let’s start with a basic goal-setting acronym that you may have heard before. 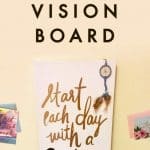 Smart goals stands for Specific, Measurable, Attainable, Realistic, and Time-Specific. 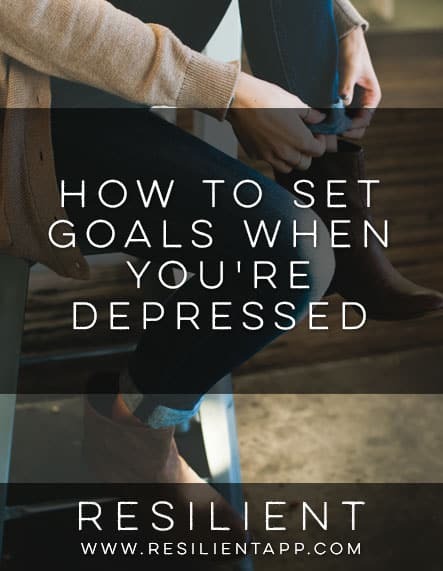 Especially in the case of depression, you really want to focus on goals that are realistic for you to achieve. 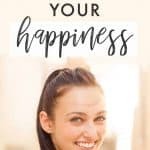 It might be tempting to set big, lofty goals like “Be happy,” but it’s much more motivating if you set goals that are baby steps that you can easily achieve so you can build up your wins and feel good about yourself. Celebrate every tiny victory by setting small, short-term goals. 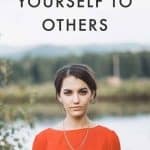 Are You Making This Mistake When Going After Your Goals? If you set goals that are unrealistic or take too long to achieve, you’re just going to feel discouraged. And we don’t want that. Maybe you could set a goal to make your bed today. It always makes me feel like I have my life together when my bed is made and my apartment is picked up. This is something that would only take a few minutes but would make you feel like you’ve accomplished something for the day. You can even start with smaller goals. A few years ago I had a therapist who told me about someone who struggled with getting out of bed every morning. So what she suggested was that he get out of bed literally one toe at a time. 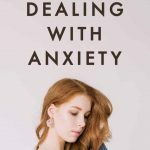 Sometimes a full action is just too overwhelming when you’re in the throes of depression. So, if you’re having trouble just getting out of bed, guide one toe over to the side of the bed. Then the other toes. Then put one foot on the ground. Then the other one. Then stand up. And so on. To an outsider this might seem like a weird way to set goals, but when you are depressed it is totally acceptable and ok if your goal for the day is to get your baby toe out of bed. 🙂 That little toe is a victory! Do the same thing tomorrow but take it one step farther. I really believe in taking baby steps. It is amazing how much you can accomplish if you can manage to take just three baby steps every single day over a long period of time. That’s how I’ve accomplished nearly everything over the last few years – I take at least three small steps forward every single day. These days, my goals have gotten a little bigger and more long-term, but the process is still the same. Over time, you won’t even believe how far you’ve come. What is one goal you can accomplish today (or tomorrow if it’s already night time)? Let me know in the comments below. 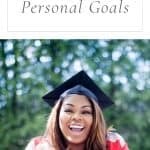 If you’d like more goal setting help, check out the Slay Your Goals Planner from Nadalie Bardo.